We are offering a second course at a 30% discount during the month of February: “Spirituality and Recovery, Including 12-Step Programs”. This course would be a wonderful addition to your recertification requirements or your initial certification as an addictions professional. Please take advantage of this special sale. 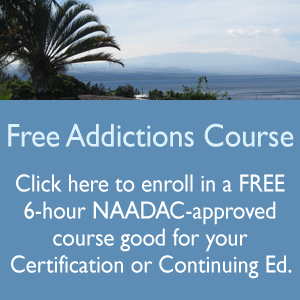 If you are looking for a larger package of classes, please check out our Recertification Package or Certification Package for the Addictions Professional. The course is approved by the National Association of Alcoholism and Drug Abuse Counselors (NAADAC) and the Hawaii Dept of Health ADAD. 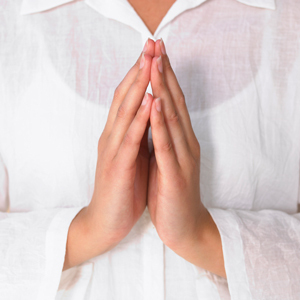 In addition to covering major theories of spirituality and recovery, it addresses the underlying neurobiology of spiritual practice in recovery, as applies to professional self-care and the provision of care for chemically- impaired individuals and Spiritual techniques, such as the 12 steps, that can be applied in private and professional settings. It includes material germane to appropriate assessments, interventions, professionalism, and supportive measures such as case management and client education for the professional who is caring for the chemically impaired individual. If you haven’t already, please check out our Professional Ethics course, also discounted 30% for the month of February!